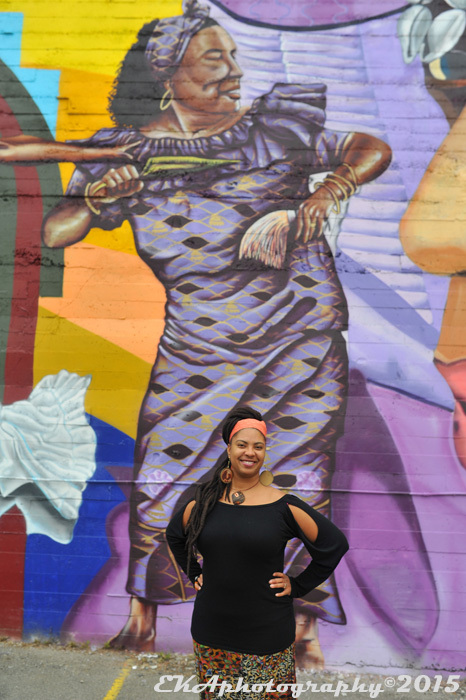 “Women Runnin It” features women in dynamic positions of cultural leadership in Oakland. 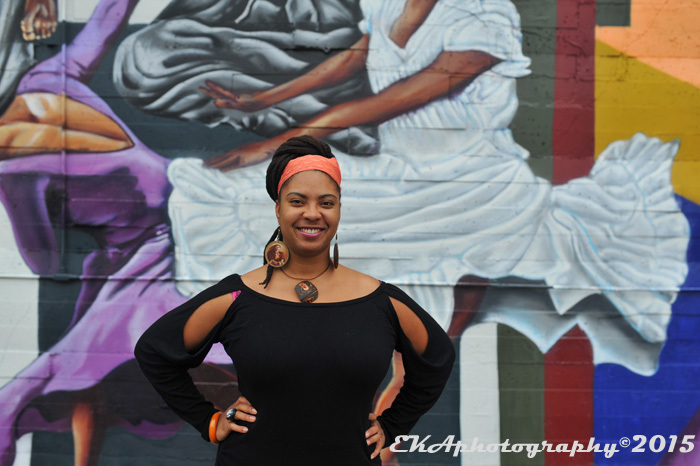 This installment features Ramona Webb, director of the much-anticipated performance “The State of Black Bodies” which runs tonight (May 23). 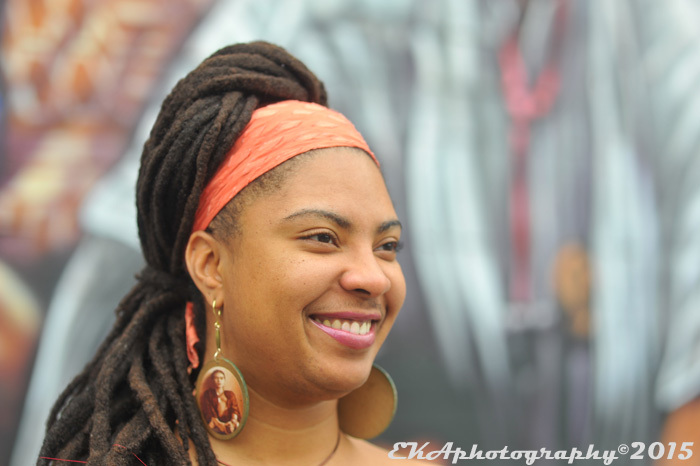 Ramona Webb has had her hands in many pots of cultural stewardship and leadership contributing to the shaping of slam poetry artistic community as well as the Bay Area queer community. We are thrilled to have the chance to converse and learn a little more about Ramona’s approach to theatre in this production committed to uplifting and loving Black truth. 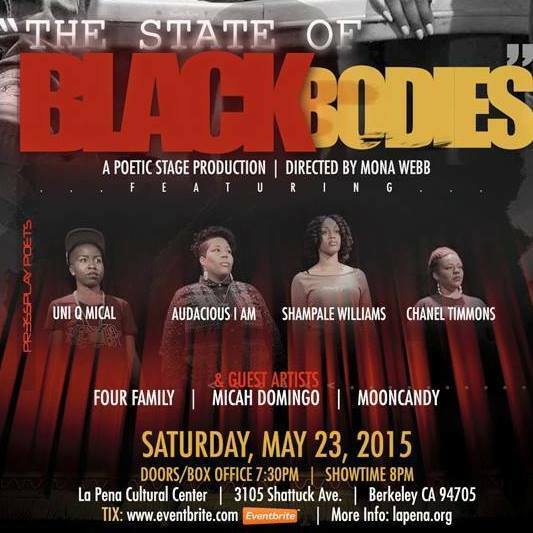 “The State of Black Bodies” stands as the first full-length poetic and artistic stage play by Pr3ssPlay Poets, an all-female poetry, spoken word and production company founded in Oakland by writers Audacious IAM, Chanel Timmons and Shampale. Saturday’s performance will be hosted by Sonya Renee Taylor and feature guest artists Micah Domingo (MC/Producer), Fourfamily Sam Sneak Fletcher (Poet/Performer/Host), and Valerie Troutt’s MoonCandy Ensemble. Oakulture: Please tell us about the screenplay and what is unique about this production. Ramona Webb: “The State of Black Bodies” is written to engage and encourage the discussion of the current state of affairs in the African American community. The show will explore issues regarding the current state of blackness in America, and will trace the shifting nature of blackness throughout history. It will explore the intersections of the “black body” as a target, and as triumph, the conditioning of black male, female, and queer bodies in service of white supremacy, and the collective desire to be freed from its talons. This performance feels like a staged canvas of brilliant colorful stories born through authenticity and hope. Oakulture: “The State of Black Bodies” is named for the annual presidential address, The State of the Union. Why do Black Bodies matter and how are they related with our nation’s progress report? Ramona Webb: Black Bodies matter in our current state of social justice affairs as we watch the gross mistreatment of African American’s spackled across the news as headliners and measurements of our value. Oakulture: You have had and continue to play a strong role in facilitating poetry community through national poetry slams, including SF’s poetry slam team and working with youth in the school districts, your new role as Executive Director of the Eden Foundation committed to supporting the queer community in the Bay Area, as well as event production and conducting women-centered scholarship. How does any or all of this feed into your decisions and approach as Director of this production? Ramona Webb: My art informs my work and my work is steeped in the experiences of community collaboration, artistry and engagement. I pull from the metronome my life experience provides to fuel my passion for the great art that reflects authentic depictions of the minority experience. As a poet I understand the burning need to communicate a vision through the lens of performance. I enjoy engaging the work of performance artists and encouraging them to grow their aesthetic and curate the voice of their work with intention. As a director, I feel that the foundation of encouragement, love, artistry, support, affirmation, honesty and disciplined action that is built by a NPS (National Poetry Slam) Team coach is also required of a director encouraging the life of a new scripted theater piece. As a conservatory trained artist I personally enjoy the layering of various art forms and avenues of artistic expression. This particular show speaks to the heart of my personal investment in a just and sustainable world, which makes my investment in the work cellular. Oakulture: What is the connection between sacred ritual space and the space you create in the theater or at a poetry slam? How does that translate in this production? Ramona Webb: The creation of sacred space for me speaks to my investment in honoring the art and the platform that is prepared to hold it. Oakulture: Rather than a traditional play in which the actors are acting out characters, the performers in this production are a collective of spoken word poets. How does that make for a different theatre experience? Ramona Webb: The experience of this performance in the context of poetry allows us to expand our vision of metaphors being rooted on stage. When poetry takes the stage in theater work we are allowed to breath new life into the language of expression on stage. Oakulture: As the #BlackLivesMatter movement evolves with each day, how has this affected both the production of the play and the experience for the actors, stage crew and yourself if at all? Ramona Webb: We continue to hold the work’s mission at the forefront and expand our vision of what needs to be reinforced in the story of black communities. Oakulture: Though often in the media the #BlackLivesMatter movement is framed as focusing on black men, three queer women of color from the Bay were at the start of this movement, as are the primary players in this production. Why is it important that we hear queer women of color’s perspectives on race and politics right now? 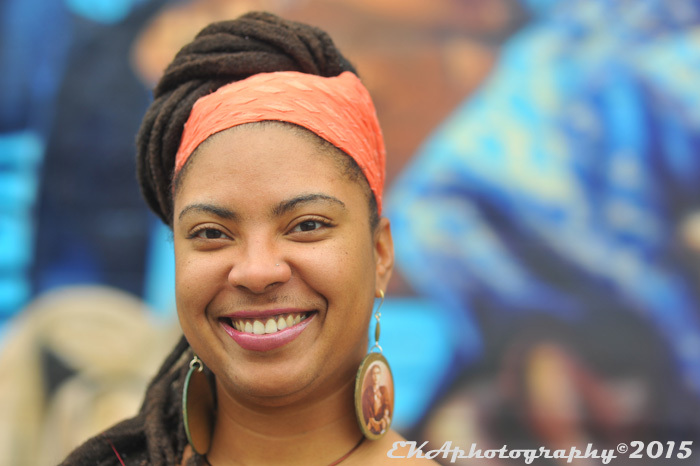 Ramona Webb: Often the voices of queer women of color are excluded, devalued or unheard. At this time it is especially important to expose our community to a vision of us that is honest, courageous, inclusive and recognized as necessary. We hold a stake in the conversations about race, gender and politics as well. for youth and adults you don’t want to miss it. Get to know the women previously highlighted in the series, including Candi Martinez, Chaney Turner, Nina Menendez, Gina Madrid aka Raw-G, DJ Zita and the Soulovely crew Lady Ryan, Aima the Dreamer and DJ EMancipacion. Categories: OakQ&A, Women Runnin It | Tags: Audacious IAM, Chanel Timmons, EDEN Foundation, La Pena Cultural Center, Pr3ssPlay Poets, Ramona Webb, Shampale, The State of Black Bodies, Women Runnin It | Permalink.